CANTON, N.Y. - A scoreless draw ended after 64 minutes and 59.9 seconds, as the University of New Hampshire women's ice hockey team was defeated in the very last second by #10 St. Lawrence, 1-0. The Wildcats, who tied the Saints the night before, fall to 0-1-1 to start the season. Sophomore goaltender Ava Boutilier (Charlottetown, Prince Edward Island) made 34 saves in the loss, her record now 0-1-1 on the season. She made three saves in the extra period before the game-winner that came with 0.1 seconds remaining in overtime. The Wildcats will host UConn in their home opener this coming Friday, October 12 at 7 P.M. at the Whittemore Center Arena. For tickets, call (603) 862-4000 or visit UNHWildcats.com. - The Wildcats had two power play opportunities to begin the contest, including one just 53 seconds into the game. They were only able to get one power-play shot on goal in the period. - Neither team made an impact with shots in the first, as St. Lawrence led at the first intermission 5-3 in shots on goal. - The second period picked up in shots for St. Lawrence, but all were stopped by Boutilier and the UNH defense. - The Wildcats killed off all three of SLU's power plays; the Saint's took one power play shot in the second period and three in the third. 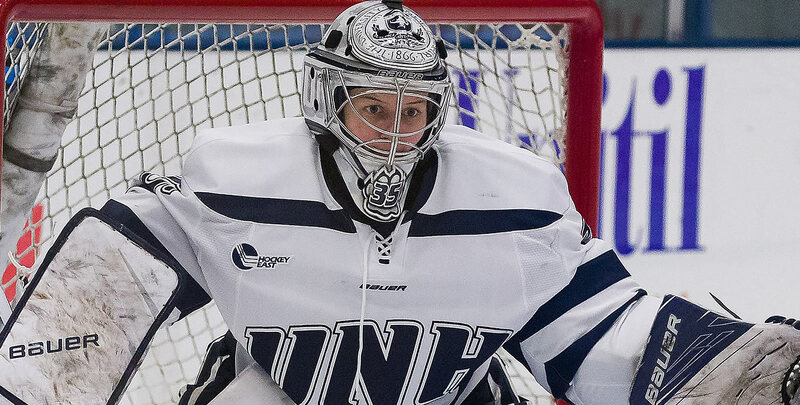 - New Hampshire tried to answer back with aggression in the third, tallying nine shots on goal in the third, their most of any period in the game. - In overtime, SLU outshot UNH 4-2, with the fourth shot crossing the goal line with 0.1 seconds officially remaining on the clock. A shot from the point with one full second left on the clock was able to get through before the buzzer went off.